Computed tomography (CT) scan (also known as CAT scan) of the chest is a painless radiology exam, which may be performed to examine the cause of pain in the chest area in a non-invasive manner. In the chest CAT scan, multiple images of the organs inside of the chest are generated. These images are more detailed than traditional x-rays. 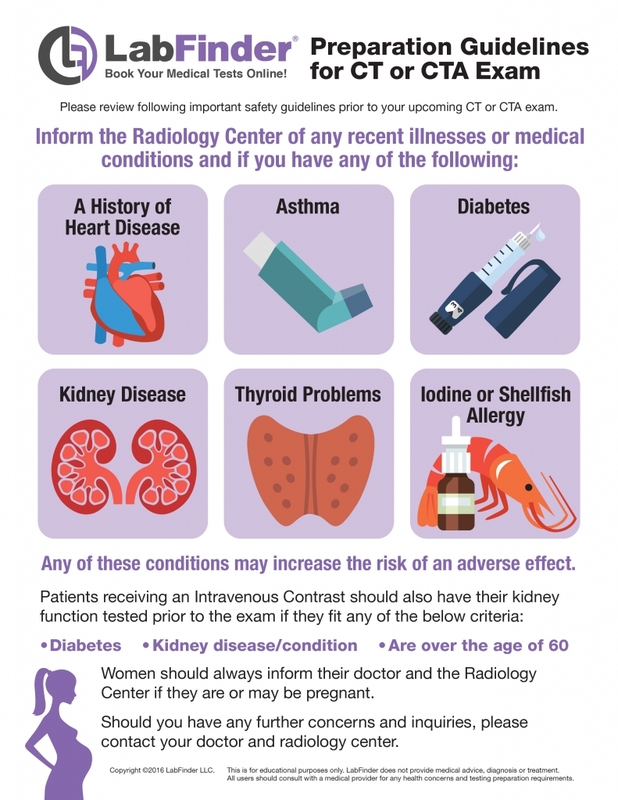 The CT scan aids doctors in detecting inflammatory conditions, tumors, and evaluating other abnormalities such as lung disorders including cancer, pneumonia, pulmonary fibrosis, and tuberculosis. Sometimes doctors also recommend a chest MRI to verify the CT scan findings. Who should get a Chest CT Scan? Before starting the CT scan, you will have to remove all the metal objects on your body, including eyeglasses, jewelry, hairpins, and dentures. Then you will have to lie still on the CT scanner table, which will move slowly through a doughnut-shaped machine. An X-ray beam will move in a circle around your body and will take multiple images that will be displayed on a monitor. During the scan, a technologist will give you instructions such as ‘raise your arms above your head’ and ‘hold your breath for 10 to 12 seconds’. If your doctor has ordered you to take a chest CT scan with contrast, then a contrast dye will be injected into your vein shortly before the scan begins.The dye will make your chest organs show up better in the test images. What is the duration of the scan? 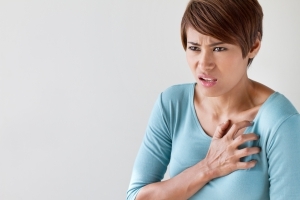 A CT scan of the chest is usually completed within 30 minutes. This includes 10 minutes for preparation and 15 to 20 minutes for the scan. Is radiation involved in the scan? Yes. CT scan is an imaging test, which involves a small amount of radiation to show pictures of the organs, tissues, and bones of the body. Once the CT scan of the chest is completed, you will receive your results within 3-5 business days in your LabFinder portal. Please refer to the simple preparation guidelines given below or consult with your doctor or radiology center where you are being treated. Do not forget to bring your LabFinderOrder and Insurance Card to your appointment.